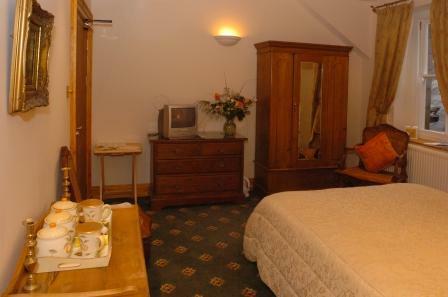 Recent review March 2019: "The hotel is set in beautiful surroundings. The walks and views are breathtaking. We went during the beginnings of a storm but that only hampered our walk slightly. I can imagine how beautiful the hills look during the summer and would definitely aim to return to see just that. The castle is spacious too with plenty of room to just wander around or just sit and talk. 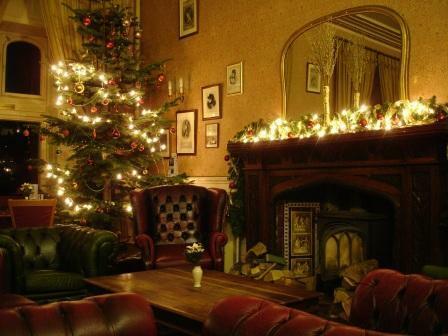 Again, it is a welcome change from the run of the mill hotel." NEW! Dogs see our selection of luxury Memory Foam and Deeply Padded dog beds, now available in the Patti Bar. Our dog beds can be found stacked to the right of the coffee machine. 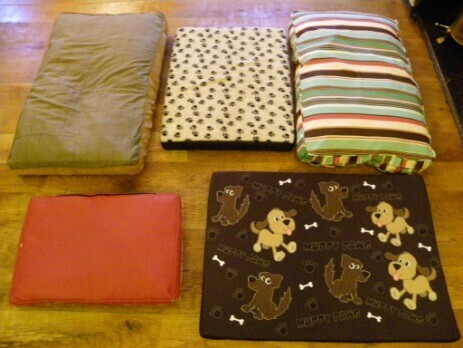 Please select your choice of dog bed before settling down beside your owners in the Patti Bar. No need to lie on a hard wooden floor! Dogs may bring their own dog bed to the Patti Bar if they prefer. click on the Month for which you wish to check availability below. Here's En-suite Bedroom AB15 Lounge - plenty of space for me to lie down in. 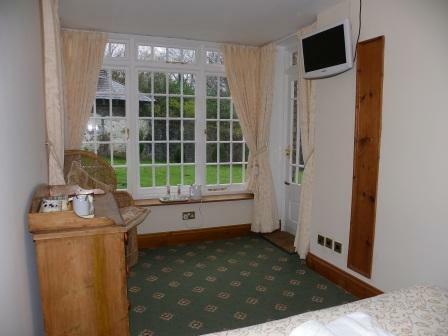 Nice double bedroom too! AB15 also has a self-contained second twin room in it - my owner could bring the rest of the family, or invite some friends. 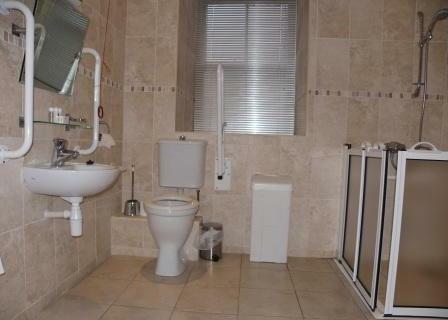 Here's En-suite Bedroom AB11 - lots of nice floor space (but a disabled shower room). Convenient for going outside! I see they've two large dog friendly family rooms on ground floor. Here's En-Suite Bedroom AB16. There's AB16's lounge and AB16's bedroom. AB16 has quick access straight out on to the Nurses Block grassy area for my comfort breaks! I can sleep on my own in the separate lounge room while my owners can sleep in their own double bedroom. Theatre Ground Floor left - look at this! Bay windows opening out on to grass right outside door (right). A path going straight down to the Country Park here (through gate). 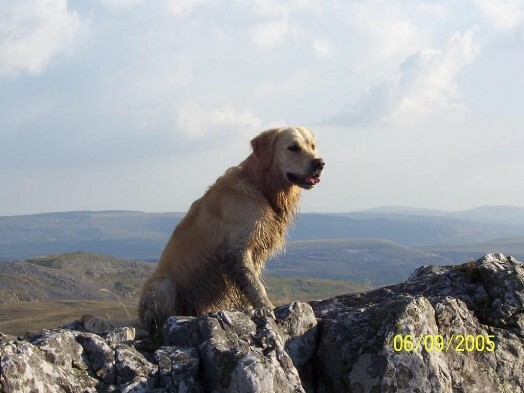 Great walkies!! 40 acres of woodland and fields in Country Park outside my door. No need to go on the lead either! Nice floor area for me in front of bed and door straight out - my owner can open it for me without leaving the room - cooool! 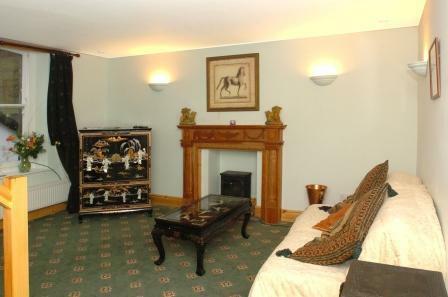 Hmm, this AB31 Duplex Apartment looks homely. I wouldn't mind staying there. Lovely lounge, sofa bed (mustn't lie on that) + Sky TV. A real home from home. And sleeping space for four people up top. Plenty of room for me too, I'll have fun bounding up and down those stairs. Convenient for the Nurses Block 'comfort area' too - I see. If those ground floor rooms are taken, I'll try AB35 or AB36. The blue carpet is AB36, the red carpet is AB35. 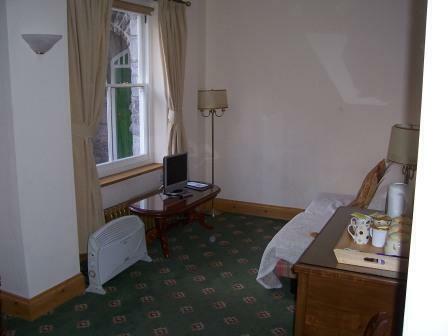 They're older rooms, larger than some of the newly renovated ones but the bathrooms, large enough, are basic. Lots of dog friendly floor space, loads of room for me. AB35 has a huge wardrobe for my tins and dog biscuits. AB35 is a bit bigger. 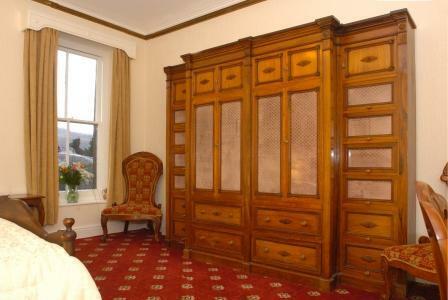 Quite a walk along corridors to get outside, but close to Reception should my owners wish to dine in the dining room. Close enough to check on me occasionally. Wooof, I like a room with plenty of floor space for me to lie in. I don't want my owners tripping over me in the middle of the night when they get out of bed! 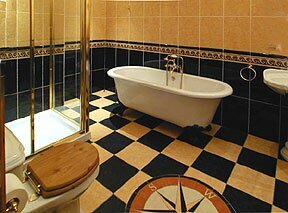 Here is de-luxe en-suite room AB21 - nice bathroom but the bedroom is small. OK for small dogs only! I won't go in the dining room; other diners might object. I'll lie in the dogs welcome bar while my owners have their evening meal. I'll settle down comfortably by that wood burning stove! (Jack tells me they've just put in an even warmer stove in the lounge by reception, ideal for long winter evenings). 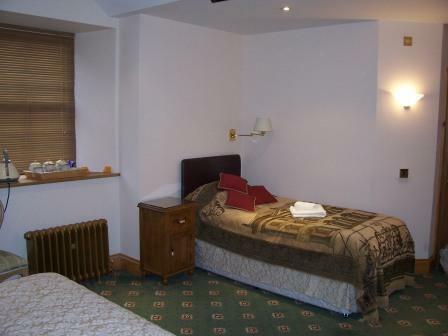 We offer excellent mid-week deals provided you stay 2-4 days. See Jack's discounted B&B breaks. 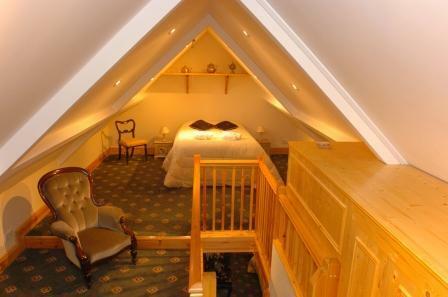 If you are looking for a family room, see our family mid-week B&B discounts here. 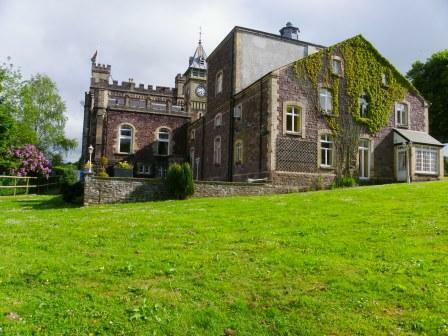 As we have weddings most weekends, there is limited availability in the summer. 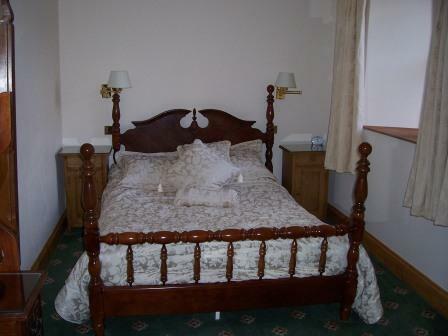 Please check our B&B Availability page to see if we have B&B vacancies on the dates you would like to stay. You may find some Fridays are available while in the winter you will find some weekends are available. Kindly note that once you have booked a room, if you are unable to stay for any reason, you must cancel more than 48 hours before your date of arrival, as otherwise we will need to charge you the full cost of the unoccupied room to cover our loss. Click on the picture to go to full room description. Tap twice with a mobile (if this does not work, see more here). Click on the picture to go to the full room description. Tap twice with a mobile.